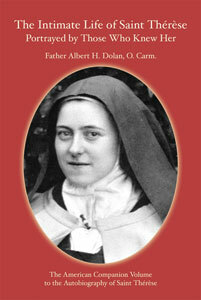 The most popular autobiography ever written may well have been that of Saint Thérèse of Lisieux. Unlike the stigmatist Padre Pio, who is the only saint of modern times to compare in popularity with the Little Flowers universal appeal, Sister Thérèse of the Child Jesus, during her mortal life (1873-1897), was hardly known outside the walls of her Carmelite cloister. And, she may have never been well known this side of heaven had she not been ordered by her superiors to write a personal journal of her own exquisite growth and fruition in the spiritual life  a growth that never idled from the time she was three. From the age of three years, she testified, I never refused anything to the Great God. Before the youngest child of Louis and Zelie Martin left this world, she prophesied that her greatest active work would begin in heaven and that she would employ herself in beatitude doing good upon earth. From there, just as she promised, she has never ceased to let fall a shower of roses upon all who invoke her. Such devotion of the universal church, as that bestowed upon Sister Thérèse of the Child Jesus, was quickly rewarded by the Vicar of Christ. She was canonized only twenty-eight years after her death by Pope Benedict XV. Loreto Publications is thrilled to publish Carmelite Father Albert Dolans unique collection of eight monographs, each of which deals with the temporal spiritual journey of our chosen vessel of grace, either as the saint saw herself in the eyes of God, or as she was intimately known by her parents, four sibling sisters, fellow religious, childhood friends and others whose lives she touched after her death. One might call this redolent nosegay of inspirational testimonies, an anthology, in the Greek sense of that word, for anthos literally means a gathering of flowers. In order to compose his octave of devotion, Father Dolan traveled, in 1924, to France: to Normandys Alencon, where Saint Thérèse was born, to her family home in Buissonnets, to the Carmel at Lisieux, and to other French towns. Then, he went to Rome, where he and Pope Pius XI had a mutually productive discussion of his apostolate to make the Little Way of the Little Flower better known in homes and monasteries in America. At the Carmelite convent he was blessed by priceless interviews with Saint Thérèses three sisters (who were nuns there), and one of her teachers. At Caen, he visited a fourth sister, who had joined the Visitation order. One third of this book is dedicated to these precious recollections gathered from her living siblings. 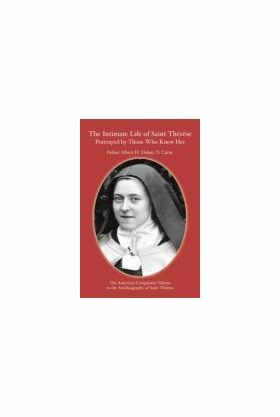 In fact, one of the eight monographs, Book Five, is completely devoted to the Little Flowers saintly mother Zelie, who died when Thérèse was only four years old. Fr. Albert H. Dolan, O. Carm.